Choose your text/graphic color. Use them over and over and save money for your charity or event. 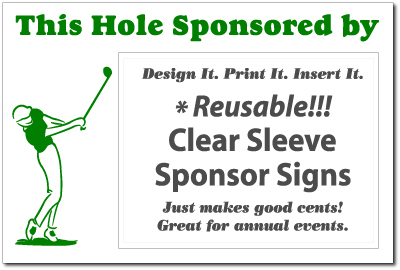 Print your own sponsor information on your personal printer and insert into sleeve its that easy. You can be as creative as you like. Print your sponsor names and logo’s in full color! Q: What is the size of the plastic sleeve on this sign?